I can't get enough of this plaid blazer. I wore the skirt outfit to a meeting last week, and the fox sweater is something I would wear on weekends. Today's shopping picks (below) are one of my favorite practical shoes. I find totally flat shoes like ballet flats both uncomfortable and I don't like the way they look on my big feet, so a wedge pump is a lifesaver. They look polished in a professional setting but also work for errands, and the low heel height is perfect for days that require a lot of walking. 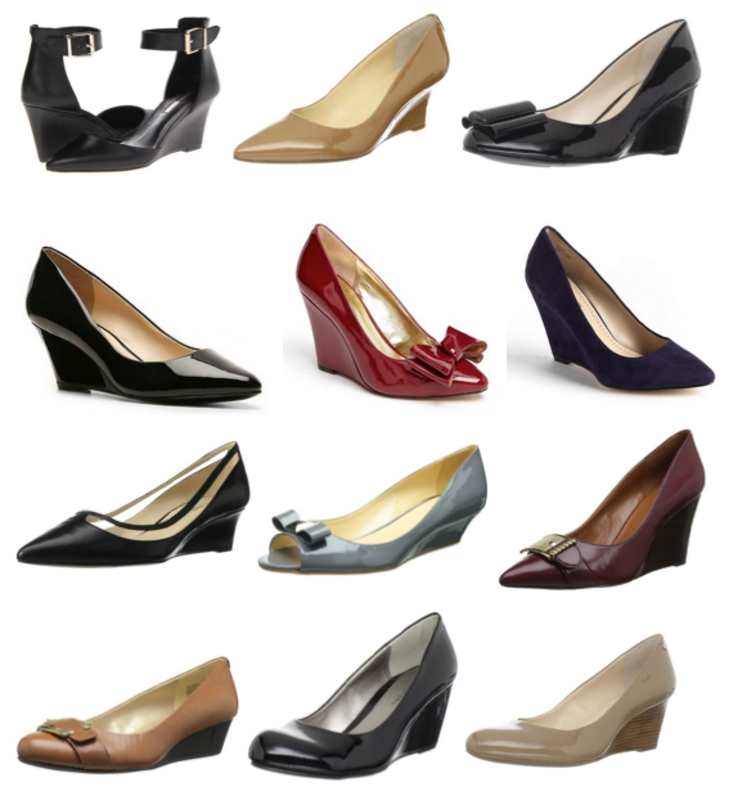 What types of shoes do you find both cute and comfortable? Which plaid blazer outfit is your favorite? Approx. dates: Jeans are 7 years old. Sweater, purse and shoes are 2 years ago. Blazer is recent. Approx. dates: Top is 7 years old. Skirt is 4 years old, purse is 2 years old. Shoe clips are last summer, blazer is recent, shoes are new.